“Yesterday after running I had stomach cramps and digestive problems all day and evening. I have overheard people talking a couple of times about how if they drink one of the “Power” drinks or eat one of the “Gu” type products, this happens. Is it just me or is this a common occurrence. Any suggestions? Here’s my answer to this important question in hopes that it may help out on your long runs this weekend. First, it’s not uncommon to have stomach problems after taking in these sugary training foods in addition to the stress of a really long run. It’s important when managing our food intake that we do a couple of important things: one being to ensure that we dilute any of the gel products coming into the stomach and the other being to vary the foods that we’re eating as the distance become very long. It is also important to eat before and after runs to set the foundation for the workout and then help recover. 1)Eat something solid well ahead of your run. I usually try to eat a bagel with peanut butter and jelly and a banana when I get up in the morning – usually 1 to 1 1/2 hours or so before running. I may also sneak in another snack within the last 30 minutes before the run – such as half of a PowerBar. 2)Drink plenty of water when eating gel packs. The concentration of the sugars in gel packs is high enough to cause stomach upset on its own. You need to drink plain water with these products to lower the concentration of sugar in your stomach. One of the pitfalls here is that runners often drink an energy drink with their gel – and this just adds more sugar to the mix. Here is my strategy: I drink my Gleukos energy drink at one aid station and then take my gel with plain water at the next. I alternate in order to avoid mixing the two. 3)If you’re getting sick, try not to use more than one type of gel pack until you figure out if one brand may be making you sick. Each of the gel products has a different mix of ingredients and these all have different impacts on peoples’ stomachs. Keep trying until you find something that works for you. 4) Mix in some salty or more solid foods during the run itself. Many times when people have stomach problems, if they add potato chips, pretzels or fruit to the mix, it will help calm the stomach. Personally I love a PB&J sandwich mid-race/workout to settle the stomach down. When I’m training for very long events (Ironmans or Ultras), I commonly eat “real” food during my workouts, such as a half of a turkey sandwich every few hours to keep from developing the “gut rot” of eating too much sugar at a time. 5)Eat some solid food and drink plenty of water after the run. Try to get in something solid within the first 30-45 minutes after the run – like a sandwich. Aim to get in 15G of protein after a long run to help with recovery and calm the stomach. If you’re having stomach issues, I’d probably avoid using a recovery drink and eat a sandwich and some fruit instead. These are some things to try. The most important thing is this: don’t stop eating/drinking during the runs for fear of an upset stomach. You need the fuel as energy. Experiment with what works to make sure that you get the fuel that you need without the stomach upset. 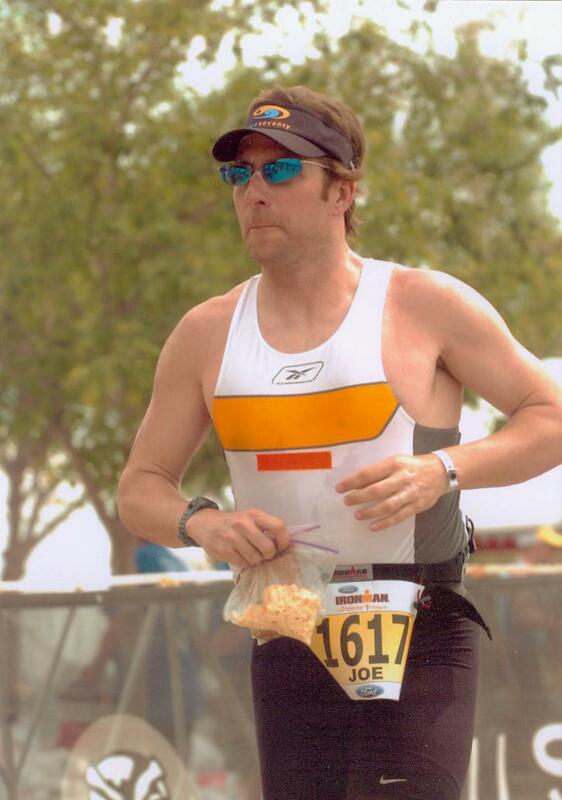 Running Wild with Coach Joe – a blog focused on marathon racing, training and motivation. Bookmark us at https://coachjoeenglish.wordpress.com or use your favorite RSS feed reader to get the latest news and articles. Running Wild is also now available on Yahoo! 360 and My Space. « Motivation: how far can we runners go?